Did you know that the best time to prune most of your deciduous shrubs is NOW? Call today and get them correctly pruned and shaped to enjoy their beauty and keep them at a managable size. Azaleas, Rhododendrons, Forsythia, Lilacs and many other spring blooming shrubs should only be pruned immediately after flowering. If you wait too long and trim them in the late summer or fall you will lose flowers the following spring.See further below for an explantion of Hydrangea pruning, which is dependent of the type of the plant. We will address more about the correct pruning of Lilacs in a future article. Butterfly Bushes (Buddleia davidii varieties) generally only bloom on “New” wood – the growth of the current season, and should be pruned very hard in early spring. 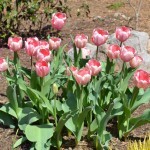 Otherwise the plants will become overgrown with and only flower at the tips. Butterfly Bushes will rapidly regenerate and grow back to a good size, even after this severe pruning. Would you like to change the color of your hydrangeas? Many varieties of Hydrangea macrophylla (Mophead Hydrangeas) will change color depending on the soil chemistry. The amount of Aluminum that the plant ingests can drastically change the flower color. Aluminum uptake is dependent upon the pH of the soil. It is much easier to change a pink hydrangea to blue than it is to change a blue hydrangea to pink. Use a fertilizer with a generous amount of Phosphorus. Phosphorus is the middle number in the fertilizer formulation. (the “P” in “N-P-K”) This will help keep aluminum from being absorbed into the plant. Apply dolomitic Lime several times per year. This will increase the soil pH, which will also keep aluminum absorbtion down. Try to keep the pH level between 6.2 and 6.4. But if the pH is too high, the plants will have a hard time taking up iron and show signs of iron deficiency. To create a BLUE hydrangea, we want to increase the amount of Aluminum available to the plant. Add Aluminum sulfate. This should be done after the plants are throughly watered since too much can burn the roots. Decrease the soil pH. This will make help the Aluminum be available for absorbtion. Try for between 5.2 and 5.5. White Hydrangeas are not affected by these methods. 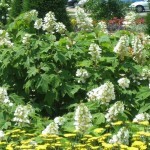 Neither are Oakleaf (Hydrangea quercifolia), Pee Gee types (Hydrangea paniculata var. 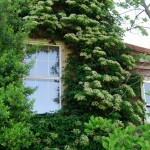 ), ‘Annabelle’ types (Hydrangea arborescens) or climbing Hydrangeas (Hydrangea anomola ssp. petiolaris). Some varieties also tend towards one color or another due to genetics, but will be affected slightly by the above methods. 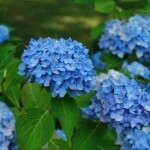 (For example, the dwarf Hydrangea ‘Pia’ tends to be pink, and the large variety ‘Nikko Blue’ tends towards blue) The intensity of the coloring is also determined by the variety, so if you are purchasing new hydrangeas, it is best to do some research first if you have a preferred color in mind. Just don’t be fooled by the color of the plant when you purchase it. 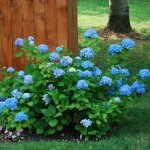 Container grown hydrangeas will usually change color once they are adapted to the soil you plant them in. 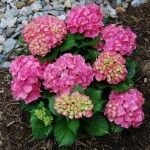 There are many new and exciting varieties of Hydrangeas available. 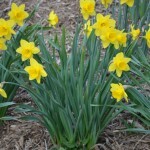 Breeding has produced new plants that are much more reliable bloomers, since they bloom on both new and old wood. 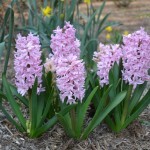 Most older varieties of H. macrophylla (the Mopheads) bloom only on growth from the previous season. A few standouts are: ‘Penny Mac’, ‘All Summer Beauty” and “Endless Summer”. 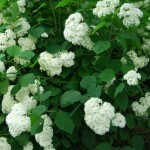 There are also some fascinating varieties of ‘Lace Cap’ hydrangeas, like “Tokyo Delight”. 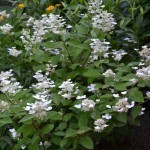 The “Lace Cap” hydrangeas have a beautiful, delicate appearance and should be more widely grown. The common Variegated Hydrangea is usually a Lace Cap variety, but unfortunately it is very sensitive to cold winters so it rarely flowers in our area unless it is in a protected location or if we have a mild winter. 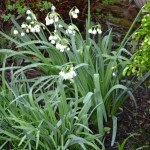 The foliage is attractive without flowers however, as it can bring a welcome contrast to other green leaved plants. Pruning hydrangeas can seem daunting. It isn’t that complicated actually. Older ‘Mophead’ types, and Oakleaf Hydrangeas (H. quercifolia varieties) do not really need any pruning at all, other than removal of dead branches or to keep them smaller. 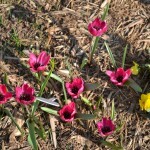 They bloom on ‘Old’ wood (The stems that grew the previous season) so it is important not to cut them back in fall, winter or spring. You can cut them back in June and July without affecting next years blooms. 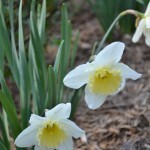 You can deadhead (cut off old flowers) anytime. You can trim the stems back to keep the plants smaller, but it is better to choose a variety of the appropriate size for your garden. 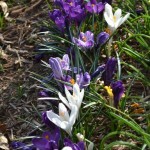 If you have one of the newer, improved varieties that bloom on both old and new wood, the same guidelines apply, although with these you will still get some flowers even if you prune them incorrectly. One exception to these guidelines is if you have an older plant, and then you may want to consider ‘Rejuvenation’ pruning. This means removing about 1/3 of the stems regardless of their age. This will perk up older plants. 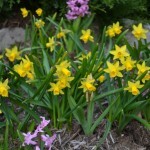 If you want to use the blooms as cut flowers, it is fine to cut them with long stems in June and July. After the first of August, cut them with shorter stems so you don’t reduce next season’s bloom. Of course as with anything, there are exceptions to this rule (There is something called ‘remontant’ hydrangeas, like ‘Endless Summer’, that will regenerate flower buds if cut off or damaged by frost) but if you follow these guidlines you should be rewarded with good blooms. Unless, that is, MOTHER NATURE interferes! 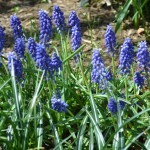 Lack of blooming, even when plants are healthy and pruned properly is usually due to the flower buds being harmed by cold. Hydrangeas vary in their hardiness, so it is important to choose one that will tolerate our winters. The plants that are sold as forced blooming houseplants sometimes are very tender varieties that won’t bloom in our region. So just because it had flowers when you bought it doesn’t mean that it will ever flower again!! Late hard freezes can also seriously affect hydrangea blooms, but there is little we can do to control this. We hope this information is useful to you, and please feel free to Contact Us if we can be of any assistance.